Nova Launcher is easily the top pick for conventional Android home screen replacements, and a "daily driver" for a good chunk of Android Police's staff. The latest update added a Material Design user interface, but there are other goodies hiding just below the surface. For example, version 4.0 includes a simple app search function hidden in the app drawer. It's especially handy if you've got hundreds of installed apps (like Artem) or just don't like organizing your apps into folders (like everyone else). To activate the search bar, just drag down from anywhere in the app drawer. It's the same gesture used to refresh the page or service in some Google apps. (If you've set the drawer to a vertical layout, you'll need to be at the top of the scrolling page.) Nova automatically opens a search bar and Android's virtual keyboard, along with quick links to some of your recently used or updated apps. Just start typing and you'll see the relevant apps in the window. The feature mirrors the functionality in Google's own search tool, but if you'd prefer to keep your apps and web searches separate, it's very handy. 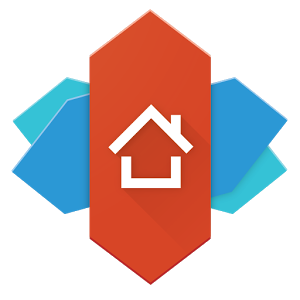 Nova Launcher is a free download and includes most of the functionality (including the new app search gesture) in the standard version, with a $4 upgrade offering more customization options.